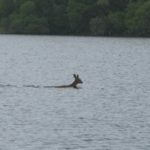 Here you can find some useful resources when fishing on the Loch Lomond system. Everything from maps to information resources about tide times and other groups who are partners with the L.L.A.I.A. We have many visitors from around the world so we thought the easiest way to show how to get here was to use Google Maps. Catch and release is vital to help protect and restore salmon stocks in our rivers. 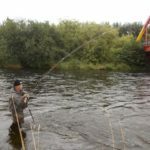 Give your salmon the best opportunity of reaching the spawning redds. Follow the advice in this leaflet. 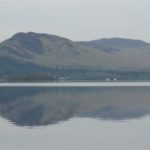 The British Geological Society and Loch Lomond and Trossachs National Park Authority (LLTNPA) have collaborated to produce a new navigation chart of Loch Lomond. The L.L.A.I.A. 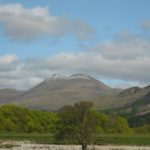 is also a founding member and important part of the Loch Lomond Fisheries Trust (LLFT). Tide Tables for the region are available from here. 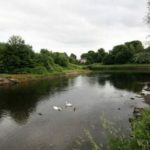 This page at The Scottish Environment Protection Agency website has water level data for the River Leven. Here you will find information about avoiding the spread of non-native species on the clothes and equipment of anglers. Here you will find information about avoiding the spread of non-native species on the clothes and equipment of boat, canoe and kayak users. 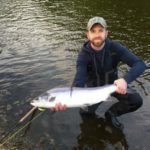 Full colour fishing maps of Loch Lomond are available from this page.